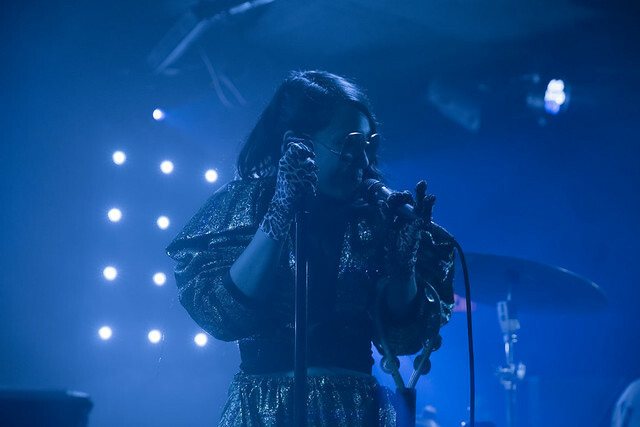 Posted on 10/22/2018 by Will Colbert	in Live Review and tagged alt R&B, downtempo, Little Dragon, Rock and Roll Hotel, soul, Sweden, trip hop. 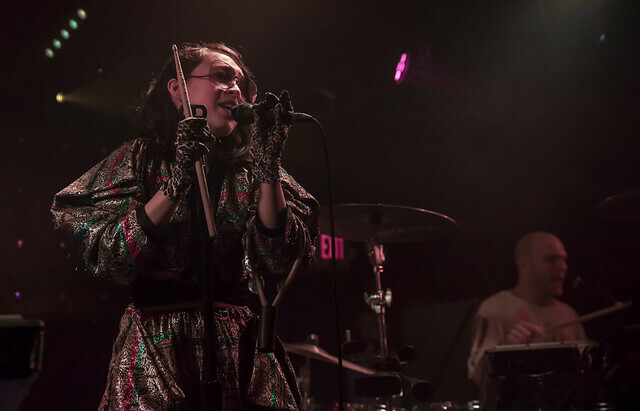 Swedish electropop band Little Dragon was in town recently for a two-night stint at the Rock and Roll Hotel. 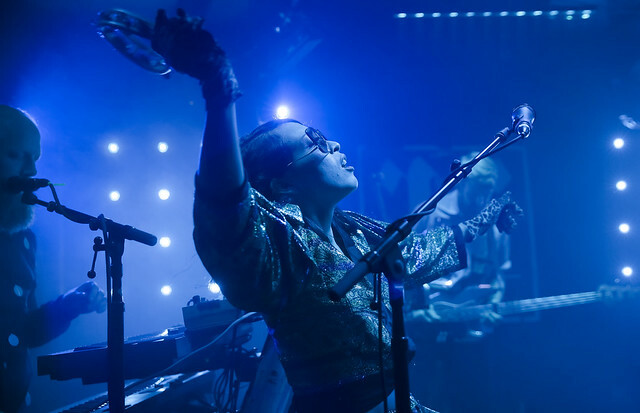 The avant-garde group, known for blending a wide range of electronic influences into their music, delivered an energetic performance at the intimate venue. 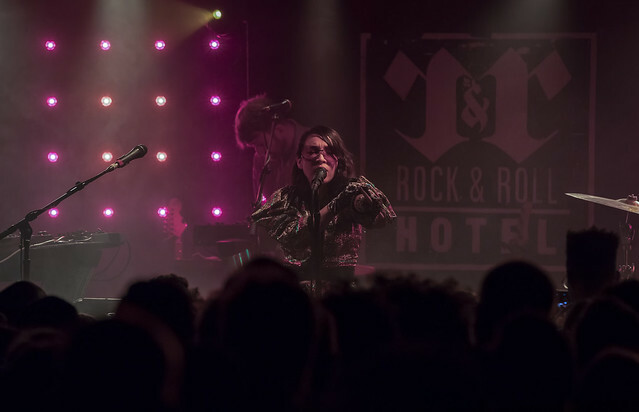 The Rock and Roll Hotel was a surprising choice for one of the world’s most beloved bands. The tickets for both the Oct. 17 and Oct. 18 shows sold out weeks in advance. 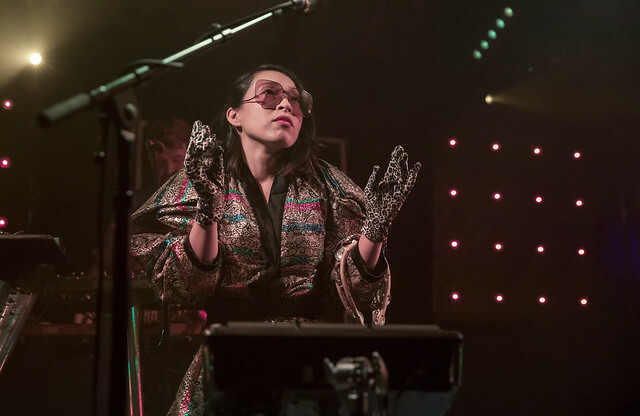 Perhaps, after being gone almost a year, Little Dragon wanted to take the pulse of their fans. A small venue made that easy. It was clear from the first song that pulses were as strong as the beats per minute in the uptempo tracks performed by the band. They began the concert with “The Pop Life,” from the 2017 Season High album. 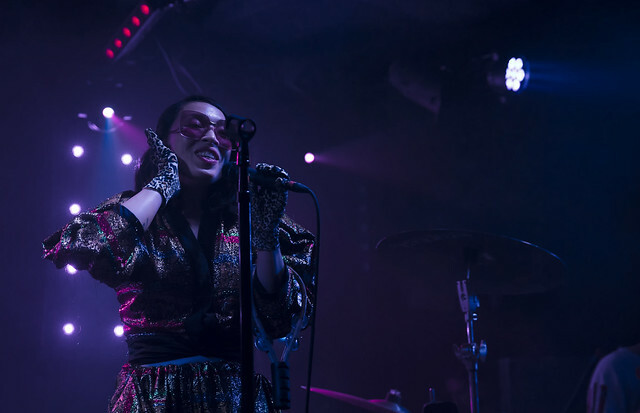 The thumping, synth-laced, critique of commercialism was a club-friendly song that highlighted lead singer Yukimi Nagano’s vocal range. The Gothenburg-based quartet is comprised of Yukimi, Hakan Wirenstarnd on keys, Fredrik Wallin on bass, and percussion by Erik Bodin. The group met in 1996 while Yukimi was still in high school. 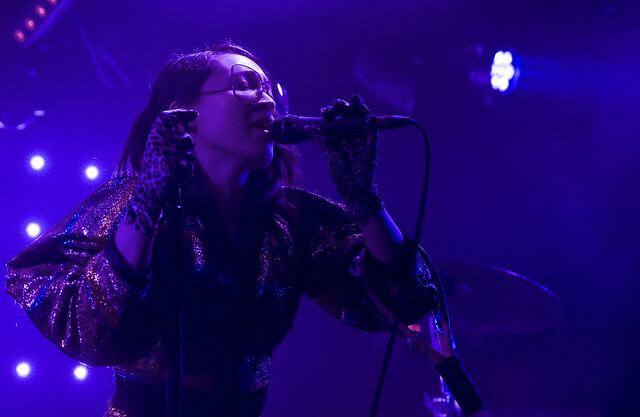 The name Little Dragon came from a nickname that Yukimi earned after displaying a tendency toward the occasional in-studio tantrum. Those were the early days, and the band has grown professionally and sonically since then. The group released their self-titled debut album in 2007, but it was their third album, Ritual Union (2011), that gained Little Dragon critical acclaim. During the show, the band played the title track from that breakout album. “Ritual Union” uses a catchy bassline and synth-keyboard as the foundation for Yukimi’s burning vocals. The same impassioned delivery can be heard during her performance of “Little Man” (also off Ritual Union) and “High” from Season High. 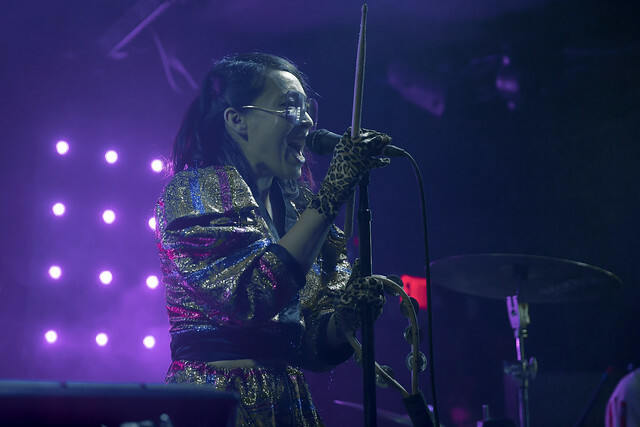 Little Dragon recently announced that their new EP, Lover Chanting, will be out next month. The three-song project will be the group’s first EP. They gave the audience a taste of what’s to come with their performance of the title track. Drummer Erik sang the hook on the bouncy dance track, which made even my lead feet feel light. The song was signature Little Dragon feel good music. The Lover Chanting EP will be available Nov. 9 on Ninja Tune. As you listen to Little Dragon’s music you get the sense that they spend a considerable amount of time experimenting with sound. The band’s performance of “Klapp, Klapp,” from their Grammy-nominated and fourth album Nabuma Rubberband (2014), was a testament to their ability to add a hodgepodge of unique sounds over a stripped down composition to great effect. 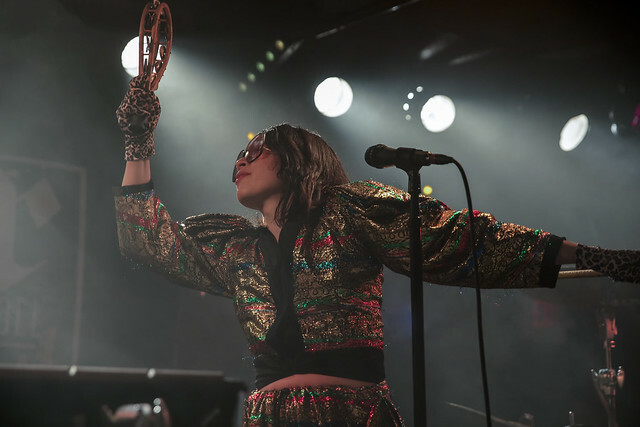 Throughout the show, Yukimi played the part of enchantress as she waved her tennis racket-shaped tambourine like a wand. 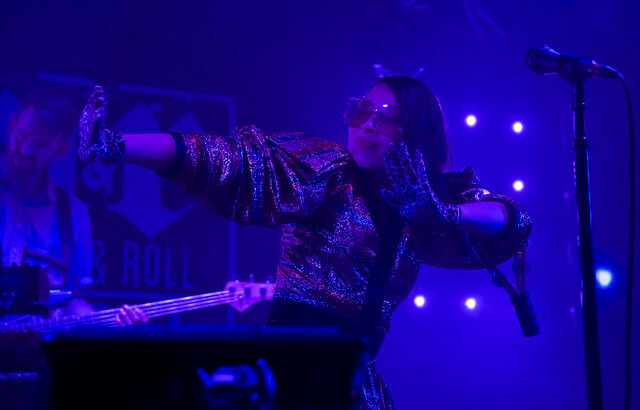 It didn’t take much of an incantation to ignite the crowd during the performance of “Wildfire.” The synthpoppy R&B jam, carried a strong groove that was a crowd favorite. The song, with over 58 million streams on Spotify, is a collaboration with London’s SBTRKT and appears on his self-titled 2011 album. 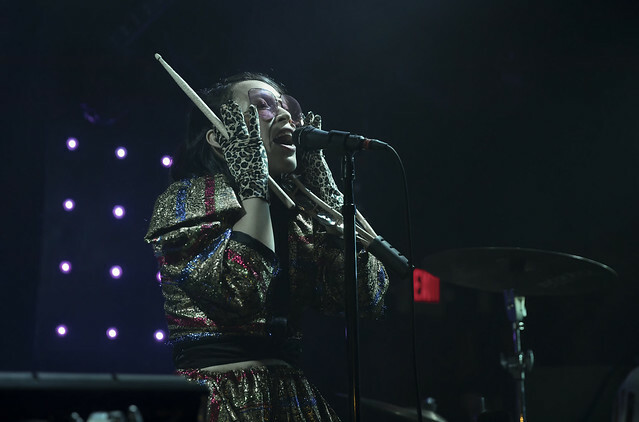 Little Dragon closed the cosmic dance party with a bit of sweetness. 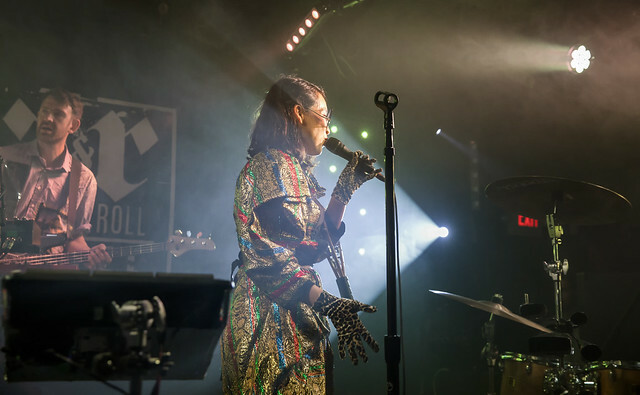 They sent their sweat-drenched, adoring fans, into the night with the beautiful serenade “Twice.” Here are some photos of Little Dragon performing at Rock and Roll Hotel on Oct. 17, 2018. All photos copyright and courtesy of Will Colbert.